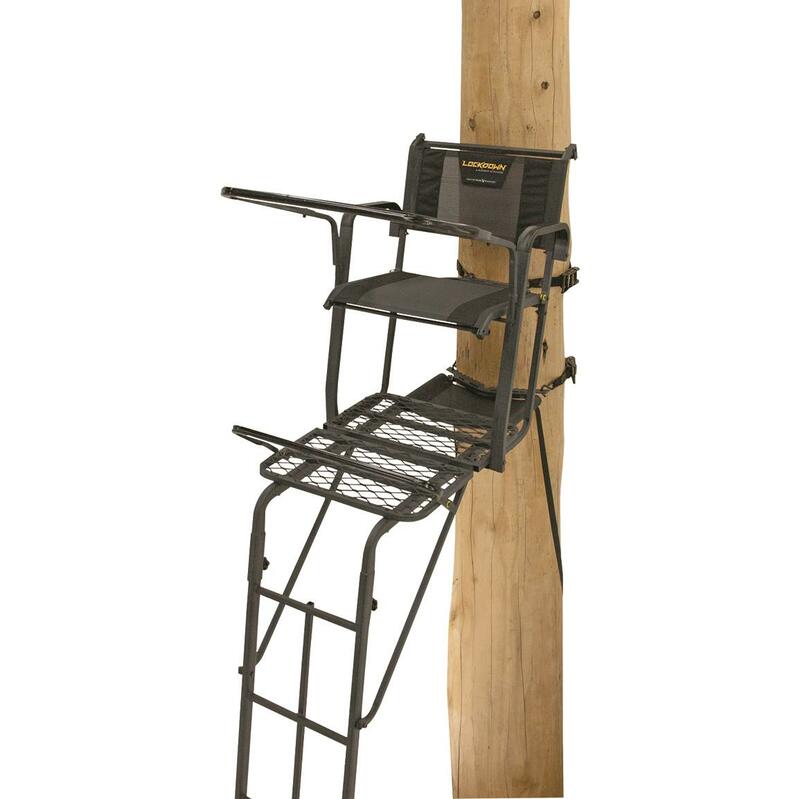 For hunting comfort and unmatched stability, there's no other choice than the Lockdown 1-man Ladder Tree Stand from Rivers Edge®. Durable 21' Ladder Stand is made from octagonal tubing and features a flip-up TearTuffTM seat and large foot platform for stretching out. 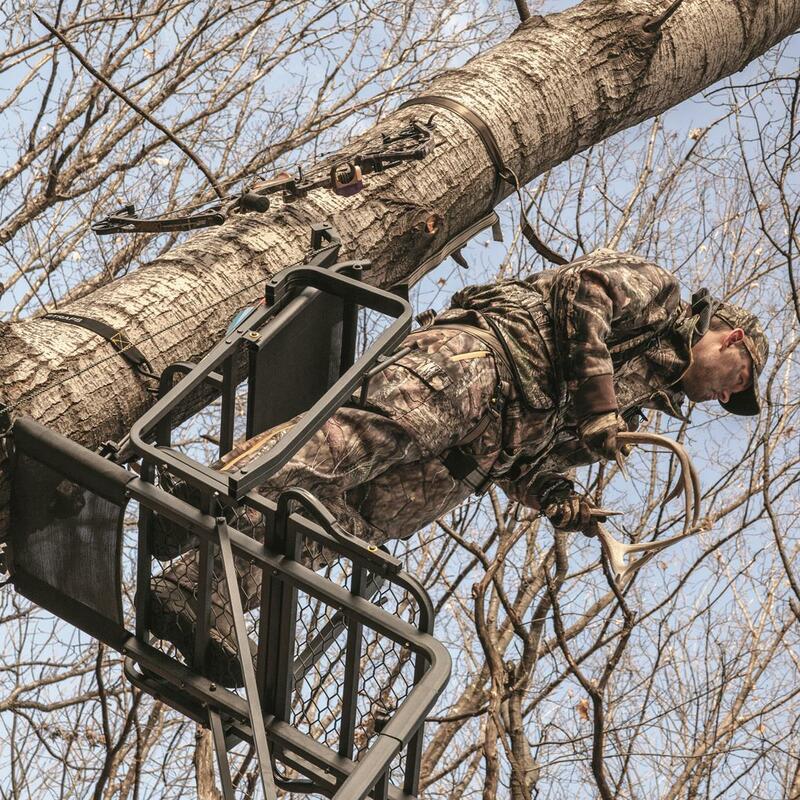 Plus, you'll always have a rock-solid, stable platform for hunting thanks to its Gridlock Attachment System that secures your stand before you step foot off the ground. Platform Dimensions: 30"w. x 20"d.
Seat Dimensions: 20"w. x 15.5"d.
Rivers Edge Lockdown 21 1-Man Ladder Tree Stand is rated 5.0 out of 5 by 1.